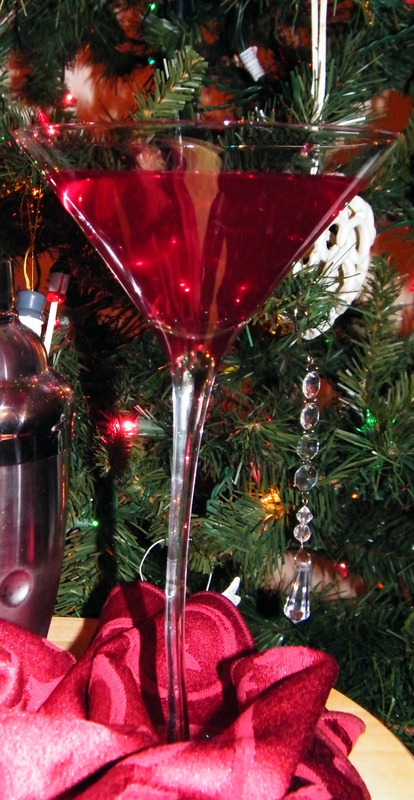 The tree is trimmed and to celebrate the holiday spirit, it’s time for a Pomegranate Cosmopolitan, my holiday tipple of choice for an evening in. Tis the season! Here’s the recipe as I adapted it from Ina Garten’s Barefoot Contessa Back to Basics. 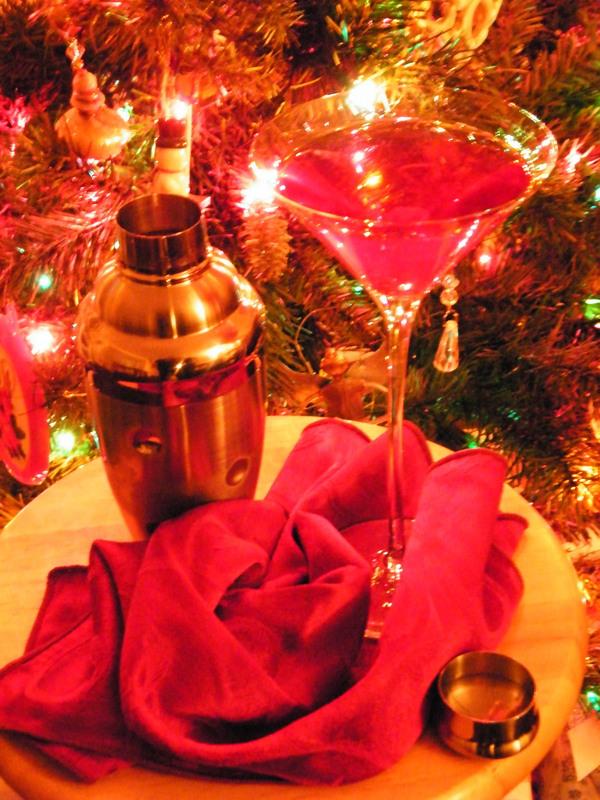 You can omit the cranberry juice and use 1/2 pomegranate juice instead for an even more ruby red and delicious cocktail. This is a pretty potent drink, at least in my opinion. If you prefer something a little milder, decrease the vodka or add extra juice. Pour all ingredients into a shaker with ice. Shake like a barkeep, enjoying the captivating sound of swishing and clinking, until the shaker is very cold. Pour into martini glasses. Savour and relax, enjoying the twinkle and glow of the season. Cheers! I like the addition of pomegranate to a Cosmo as well. Yes, all those antioxidants make it practically health food! enjoy a cocktail like this sophisticated pomegranate cosmopolitan.